My step Father Enrico, my cousin Fernando and I decided to ride Morocco. After much research I thought it best to join a tour group to show us the ins and outs rather than spending the usual days and months researching routes, weather, accommodation etc. 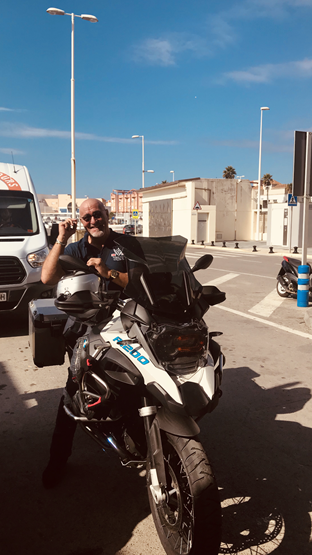 There are what looks to be a few dodgy providers online however we seem to have hit it lucky with Hispania Tours (a group based out of Malaga in Spain) who offer various routes and rides throughout Europe and Morocco. Enrico and I departed London on the bikes on the 16th and headed for Portsmouth where we caught a 24h ferry to Santander in Northern Spain. 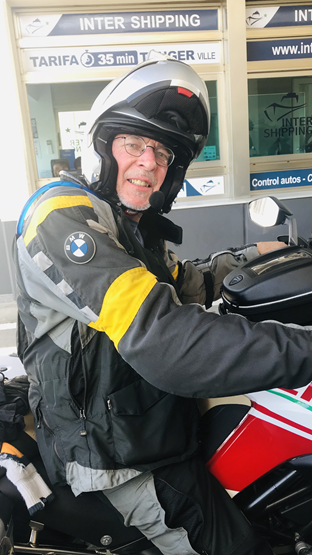 After departing the ferry at 18h30 on the 17th we did a quick 250km blitz to a tiny town called Valoria La Buena and stayed at a fantastic little boutique hotel called Concejo Hospederia. 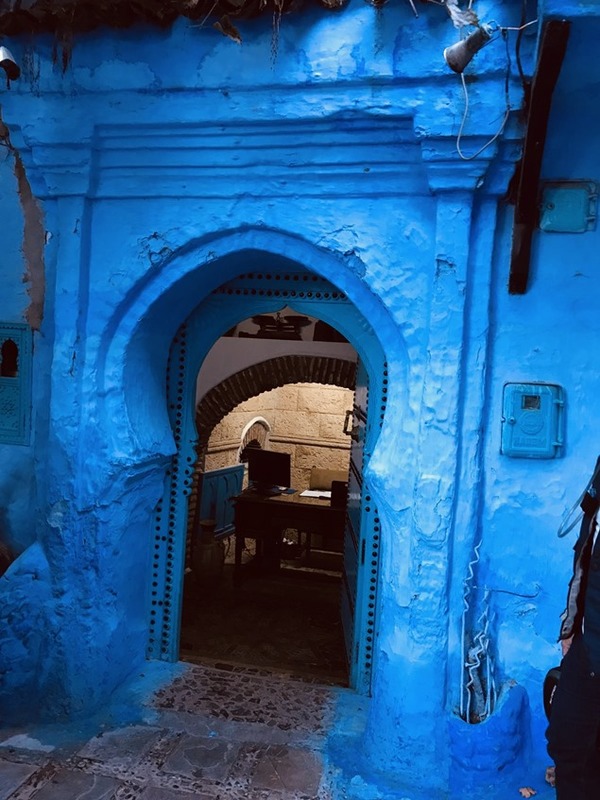 The hotel proprietor (Enrique) was kind enough to show us around the next day and explain the fascinating 1000 year old history of the property which has been in his family for hundreds of years. They also make their own wine which at first I was sceptical of but was genuinely blown away by how good their 100% Tempranillo is. 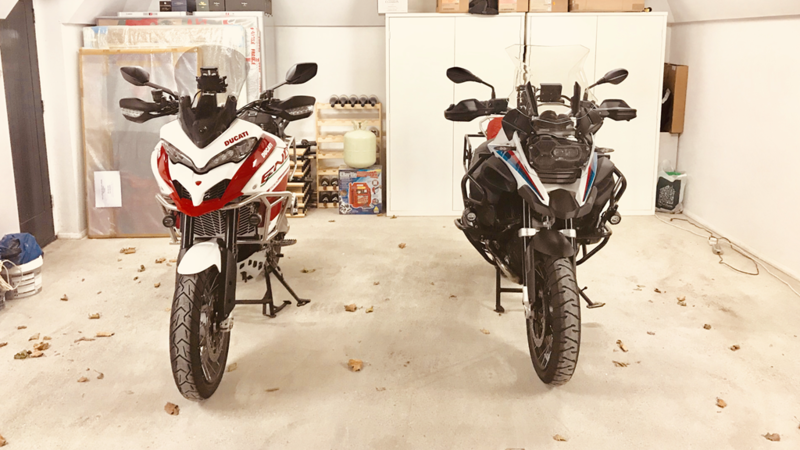 I will definitely be seeking it out when I get back home!! 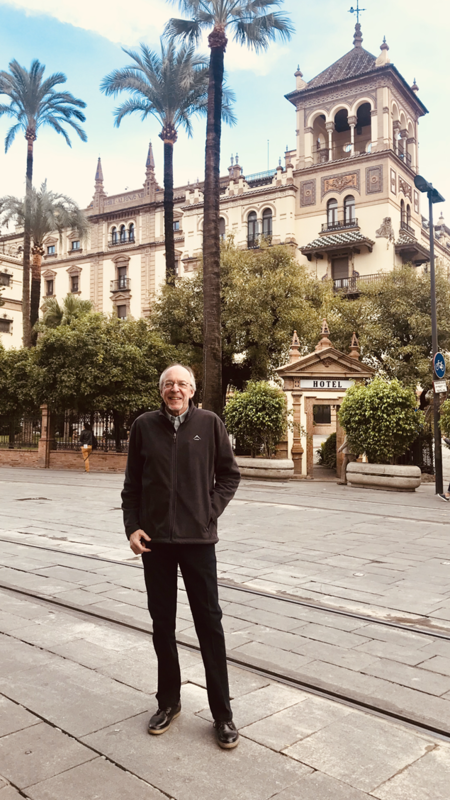 We departed for Seville on the morning of the 18th and after an uneventful 600km ride arrived to stay at what is one of my favourite hotels in the world, the Hotel Alfonso XIII which never fails to impress. 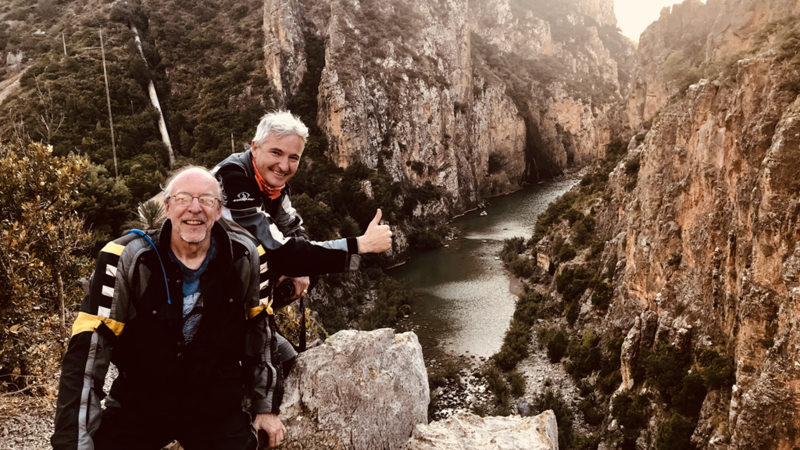 Fernando met us there on the morning of the 19th and the three of us rode together to Malaga where we met the group riding together to Morocco with Hispania tours on the 20th. The day finally arrived. All the riders met up at the offices of HT and a very wet and slow departure from Malaga set the initial tone for todays ride! 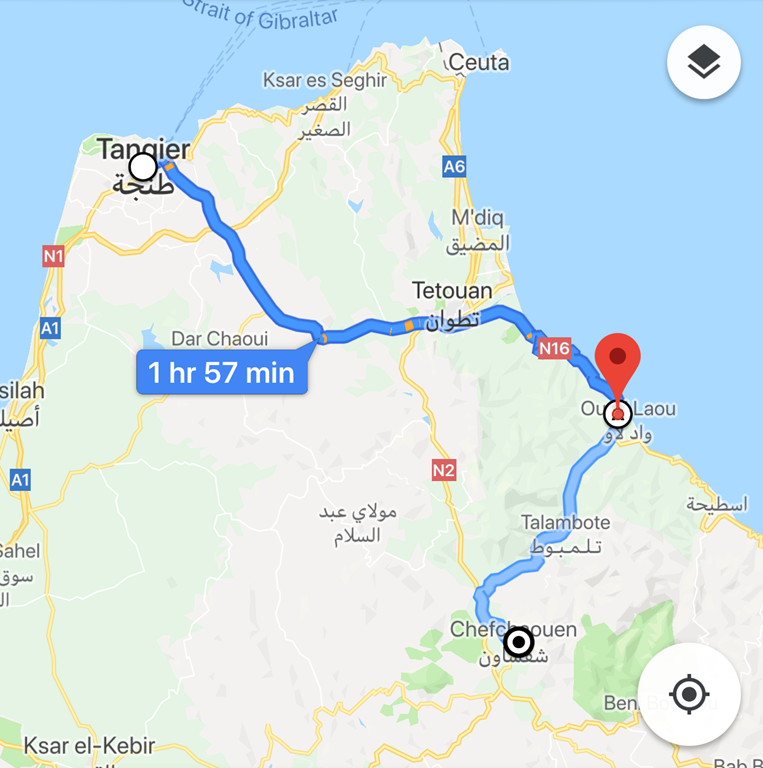 The ferry for Tangier, Morocco departed from Tarifa at 14h00 and by the time we got to Tangier the skies had cleared and the moods had lifted with the anticipation of the upcoming ride. 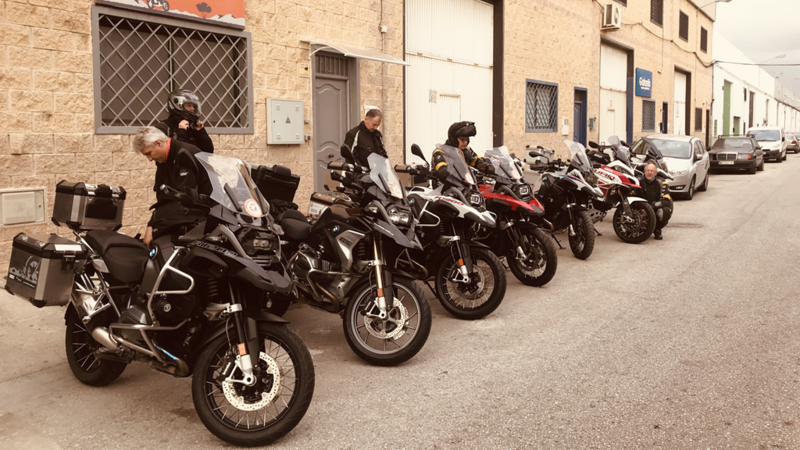 the ferry ride is a quick and frenetic 1 hour traversal across the straits of Gibraltar and then its passport control, bike clearances and we were off….and what a first days ride it was!!!!! Although the direct route from Tangier to Chefchaouen is probably only an hour, Volker (Hispania Tours group leader) led our group of 6 experienced riders on a detour along a coastal road that twisted and turned on beautiful roads for km after km. 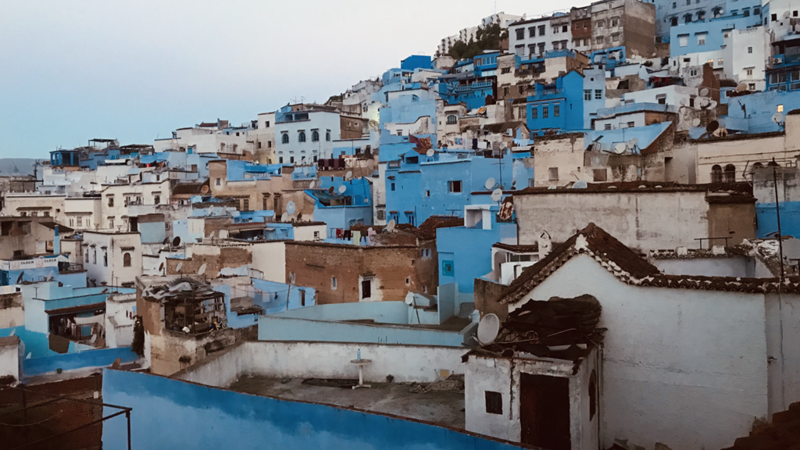 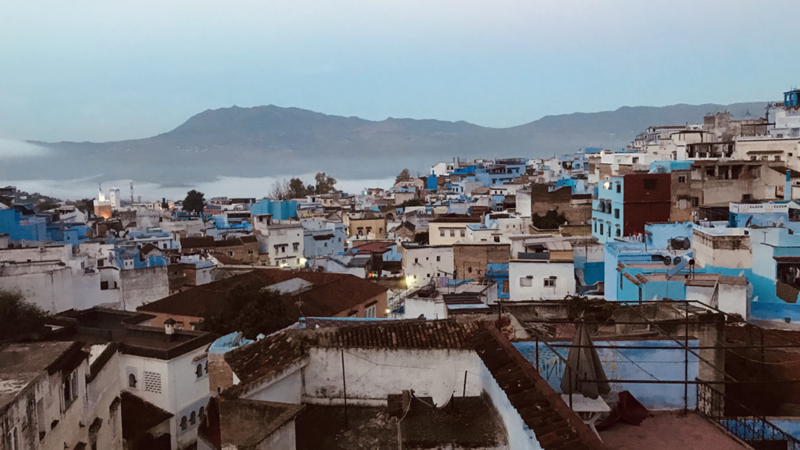 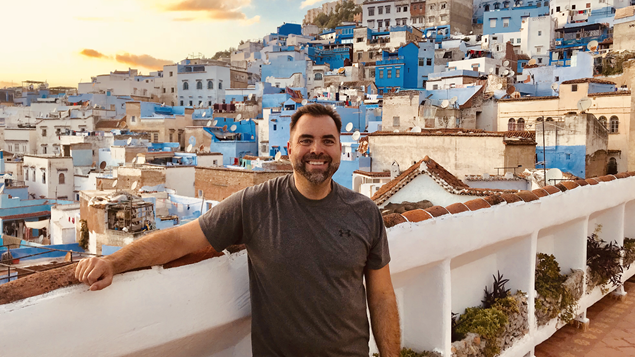 Our arrival in Chefchaouen was no less dramatic as the entire town is painted in a vivid blue and couldn’t be a more exotic welcoming into Northern Africa. 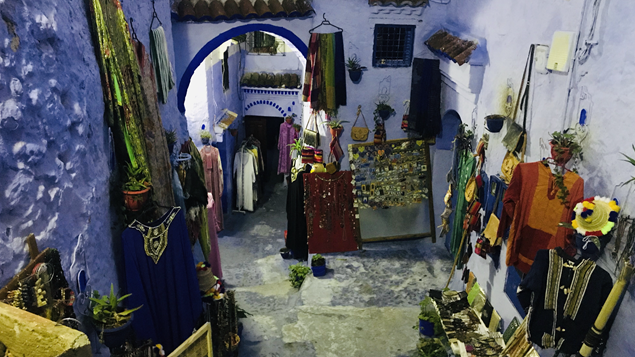 Our first night was spent at a small and tucked away Riad called Casa Hassan which was basic but clean, quaint and beautiful.